Early warning: Investor Warren Buffett cautioned investors about China’s stocks in October. Shanghai: Chinese central bankers raised interest rates six times in 2007 and stocks in the world’s fastest growing economy remain twice as expensive as US shares. PetroChina Co., whose market value tops Exxon Mobil Corp.’s by 39%, earns half the profit of the largest US oil company. China Mobile Ltd, the Beijing-based wireless carrier, is worth 41% more than AT&T Inc. and brings in two-thirds its revenue. Industrial & Commercial Bank of China Ltd has grown to nearly double the size of Bank of America Corp. with a third the US lender’s earnings. While the People’s Bank of China pledged “forceful measures" and raised interest rates to a nine-year high last week to curb inflation and investing, stocks in the CSI 300 Index trade at 44.7 times earnings, the most expensive among the 10 largest markets, and more than double the ratio for the Standard & Poor’s 500 Index, data compiled by Bloomberg show. The benchmark is up 171% this year in dollar terms, even after slumping 11% from its 16 October record close. “Chinese companies may become the world’s biggest eventually, but they’re not there yet," said Shane Oliver, who helps manage the equivalent of $113 billion (Rs4.5 trillion) at AMP Capital Investors in Sydney. “The Chinese stock market has gone up hard and fast and inflated their market values. There is probably more room for share prices to fall." 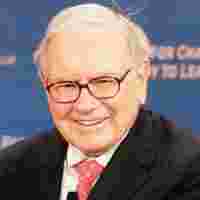 Warren Buffett, the billionaire chairman of Omaha, Nebraska- based Berkshire Hathaway Inc., said in October investors should be “cautious" about China’s soaring stocks. His company sold all its PetroChina shares the same month. Former Federal Reserve chairman Alan Greenspan echoed Buffett’s concerns when asked in October if China was in a state of “irrational exuberance," a phrase he made famous in 1996. “I think so," Greenspan said. China is home to seven of the world’s 25 largest companies by market value, data compiled by Bloomberg show. Only PetroChina is among the top 25 by profit. In Hong Kong, where most of China’s biggest companies are listed, the Hang Seng China Enterprises Index has jumped 40% in dollar terms. On the mainland, where investment from overseas is limited, shares are worth more than three times as much as those in Europe’s Dow Jones Stoxx 600 Index, which trade at 12.6 times earnings. Peter Chiang, who helps oversee $8 billion at DBS Asset Management in Singapore, said Chinese companies merit their prices. “High stock valuations are precisely the China story," Chiang said. “You’re buying potential. If you look at the world today, where is the source of growth? The US? Europe? It’s China." China’s economy is the world’s fourth-largest after the US, Japan and Germany and grew at an annual rate of 11.5% in the third quarter. The US economy expanded an annualized 2.8% in the third quarter, while the 13-member euro zone grew 2.7%. PetroChina almost tripled on its first day of trading in Shanghai on 5 November, giving it a greater value than the entire Russian stock market and making it the world’s biggest company. The Beijing-based oil company’s shares are now worth $738 billion, compared with $510 billion for Irving, Texas-based Exxon Mobil and $231 billion for London-based BP Plc. PetroChina earned ¥142.2 billion (Rs76,235 crore) in 2006, less than half of Exxon Mobil’s $39.5 billion. BP earned $22 billion. Industrial & Commercial Bank of China (ICBC) has a market value of $337 billion and trades at 44.9 times earnings after rising 30% in Shanghai this year. Bank of America, the largest financial institution in the S&P 500, slumped 21% this year, reducing its market value to $186 billion. Its shares trade at 9.2 times earnings. China’s government, which bailed out the banking industry with $500 billion over the past decade, limits lenders from overseas operations. That helped ICBC and its smaller rivals avoid much of the losses from subprime contagion.